Attorneys’ fees may be awarded in exceptional cases (35 U.S.C. section 285), not just sanctionable cases. Exceptional means “one that stands out from others with respect to the substantive strength of a party’s litigating position (considering both the governing law and the fact of the case) or the unreasonable manner in which the case was litigated.” at 8. Basically, what you’d think exceptional means. The burden of proof is lowered from “clear and convincing evidence” to “preponderance of the evidence” (50.1%). at 11. On appeal, the district court’s decision will be reviewed using the abuse of discretion test, thereby shifting the power to the district courts. at 8. Icon and Octane are competitors in the fitness equipment space. 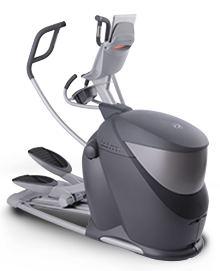 Icon alleged that Octane’s Q45 and Q47 elliptical machines violated Icon’s ‘710 patent. The District Court ruled that Octane’s machines didn’t violate the ‘710 patent. Having won, Octane asked for attorneys’ fees but the District Court refused. So now, the District Court in Minnesota will apply the new test for exceptional and decide if attorneys’ fees are warranted. Chances are that its decision will be final because the Supreme Court instructed the Federal Circuit to give district court decisions a lot of deference. The ruling was a 9-0 rebuke of the Federal Circuit, which hears all patent appeals. Reading the tea leaves, the Supreme Court might be hinting that the Federal Circuit should also give deference to district court claim construction, which is currently reviewed de novo. It’s too early to say what effect this case will have. Judges rarely award attorneys’ fees when its up to their discretion. Moreover, it’ll take at least a year before we have enough district court fee awards/denials to start drawing patterns. Until then, I expect that in my patent mediations, the parties will mention how the case is “exceptional” and they should get their attorneys’ fees back from the other side. Until we get a few fee awards from district courts, it’ll be argument without conclusive precedent from each side. But, that’s how most mediations are anyway. Same old, same old. **2015 Update: It’s been over a year since Octane issued and while many defendants are asking for their legal fees, few are getting them. Shirish Gupta is an award-winning mediator and arbitrator with JAMS. As part of his practice, Shirish regularly mediates patent disputes.